St Martin/ St Maarten is great for birding. For such a small island – only 87 square kilometers (37 square miles) – we have 164 recorded species in a wonderful variety of habitats. St Martin is important for water birds, with 50 species recorded, 18 of which breed here. Unique in this part of the Caribbean are the two large low-salinity ponds on the Dutch side. For times, days and more practical info on our birdwatching tours click here. Private tours to target specific lifers are also possible. Which birds might we see during one of our birdwatching tours? Of course we can’t guarantee anything, we’re out in nature and nothing goes on cue, but just to give you an idea what to look out for and when, an -by far not complete- overview below. For sightings listed by date, species and area check out the listings on eBird: Sint Maarten and Saint Martin. For recent photos check out our Facebook page, we keep a photo album for each month with birds we’ve spotted during the tours. 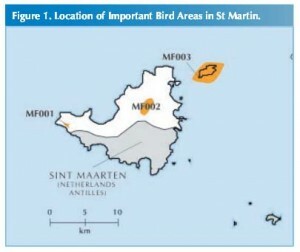 And then last but not least: St Maarten is lucky to have its own Birds of St Maarten ID Card, developed by several environmental organizations such as the Sint Maarten Nature Foundation and sponsored by Dutch funds such as Vogelbescherming Nederland (Bird Protection The Netherlands). Birds who spend their life on St Martin’s seas and shore lines are among others our National Symbol the Brown Pelican, Magnificent Frigate Bird, Brown Booby, Great Black-backed Gull, Red-billed Tropicbird, Royal Tern, Least Tern and Brown Noddy. For many of these birds St Martin/ St Maarten has been recognized as important for the congregation of these birds. In St Martin’s Wetlands we can see the following birds all year round: Killdeer, Black-necked Stilt, American Oystercatcher, Snowy Egret, Cattle Egret, Great Egret, Black and Yellow-crowned Night herons, Common Gallinule, American Coot*, White-cheeked Pintail, Ruddy Duck and Pied-billed Grebe. *In 2016 the former near threatened Caribbean Coot has been categorized as American Coot. On St Maarten we still have the Coot with its distinctive completely white face shield, which used to be a sub species. The Coot is mostly found in the low salinity ponds on the Dutch side. 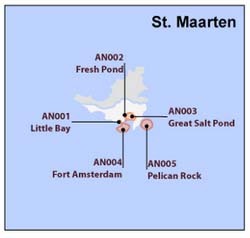 These two areas are Little Bay Pond and Fresh Pond and they are marked by International Birdlife and Environmental Protection in the Caribbean (EPIC) as two of the five Important Bird Areas (IBA) on Dutch St Maarten. In our bushes, trees and urban areas the following birds can be found: Banana Quit, Black-faced Grass Quit, Yellow Warbler, Lesser Antillean Bullfinch®, Antillean Crested Hummingbird®, another hummingbird the Green-throated Carib®, American Redstart (in December and January), Grey Kingbird, Carib Grackle, Pearly-eyed Thrasher®, Caribbean Elaenia®, American Kestrel, Common Ground Dove, Eurasian Collared Dove, Zenaida Dove® and the Mangrove Cuckoo. 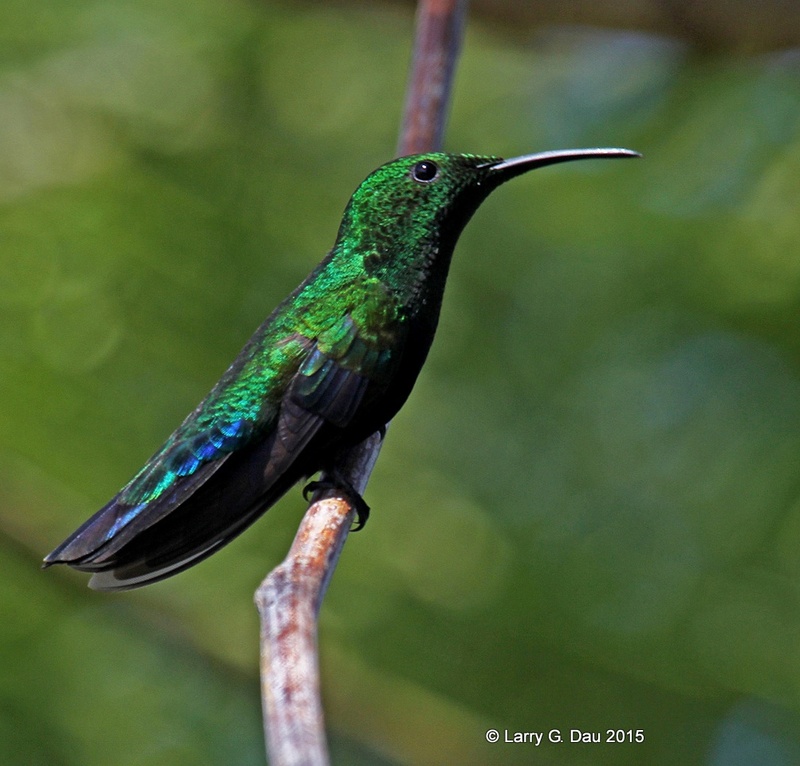 ®These species are restricted-range birds in the Lesser Antilles Endemic Bird Area. On the French side of St Maarten only, the following restricted-range birds have been spotted: the Bridled Quail-dove, the Purple-throated Carib and the Scaly-breasted Thrasher. St Martin is too small and too close to other islands to have her own endemic birds, birds which only live on St Maarten/ St Martin. 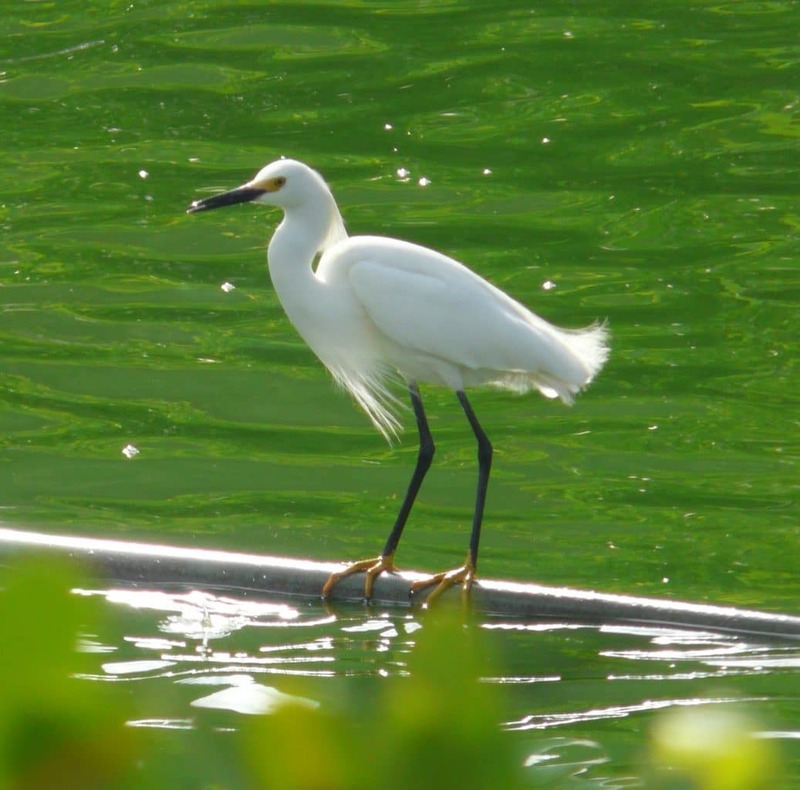 We do however have birds here that only occur in the Lesser Antilles or part there of. And there are birds only found in the Caribbean. Mark Yokoyama has written an excellent and free book on the subject called Eye on Endemics – A Closer Look at Our Local Bird Heritage. Most of the 164 recorded bird species on St Martin are migratory birds which visit our island during fall and/ or spring for a rest before carrying on with their epic journey. We have migrants from September through to May. The Laughing Gull is the only species which comes from the Northern Americas and migrates to the West Indies including St Martin to spend the summer breeding here. St Martin/ St Maarten is important for the congregation of these birds. In summer we also have Least Terns coming on land for nesting. Other migrating seabirds which visit our island are the Magnificent Frigate and Osprey. We also have breeding colonies of the Magnificent Frigate on offshore rocky islets around St Martin and Anguilla. During winter in December and January we have warblers visiting the forest on Pic Paradis. It’s not easy to see them in the thick crowns of the tall trees, but they will dip down at one stage to feed or take a sip from the stream. Black-and-white warblers, American Redstart, Hooded warbler and more might be spotted then. Every year since 2000 EPIC conducts a songbird research at Pic Paradis. They’ve found that the same birds come to the same site every year. 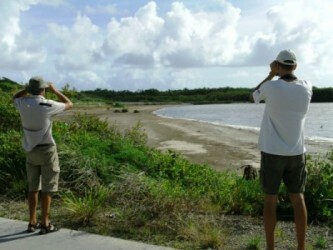 Lots to look out for when birding on St Maarten/ St Martin! Info on our birding trips or Book a birdwatching trip. 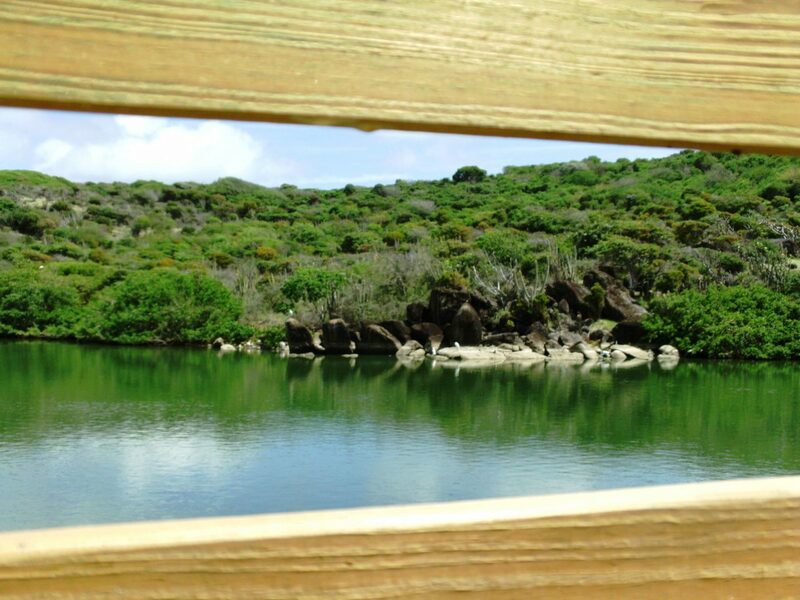 The St Martin bird habitats are: Secondary tropical dry forest on our highest peak, thorn forest on the lower hills; wetlands consisting of salt and fresh ponds, the biggest lagoon of the Caribbean, mudflats and mangroves and then our coastal areas varying from rocky shores to beaches. All habitats can be visited in one day, the driving time between them is never more than 30 minutes. 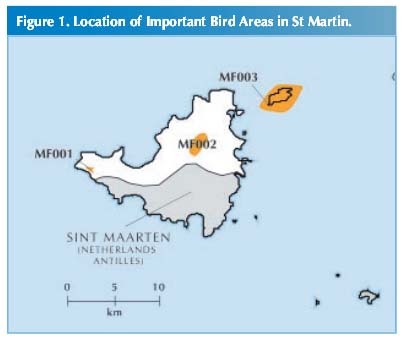 International Birdlife and Environmental Protection in the Caribbean (EPIC) have marked eight areas on St Maarten/ St Martin as Important Bird Areas (IBA). 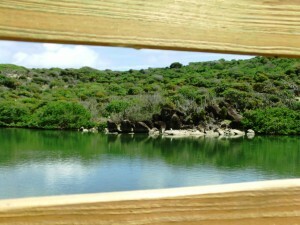 Little Bay Pond – important for its population of the Near Threatened Caribbean Coot. 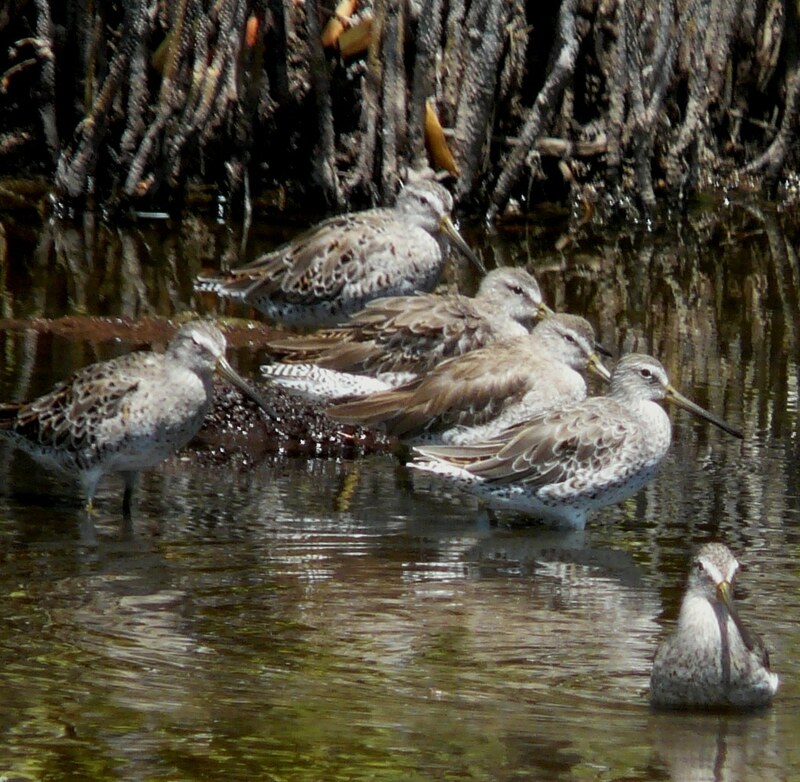 All five of St Maarten’s EBA restricted-range birds are found in and around Little Bay Pond. Pic Paradis – This IBA supports all eight of the Lesser Antilles EBA restricted-range birds. Tintamarre – Of global importance for breeding Red-billed tropicbirds, regionally importance for Brown Noddy. Check out our Trips section to find out about our Birding Tours. Or Book a Birdwatching trip.